As I mentioned in my Sourdough post I’m moving house soon, so I am trying to work through as many ingredients I currently have in the cupboard as possible, creating slightly ‘improvised’ recipes. 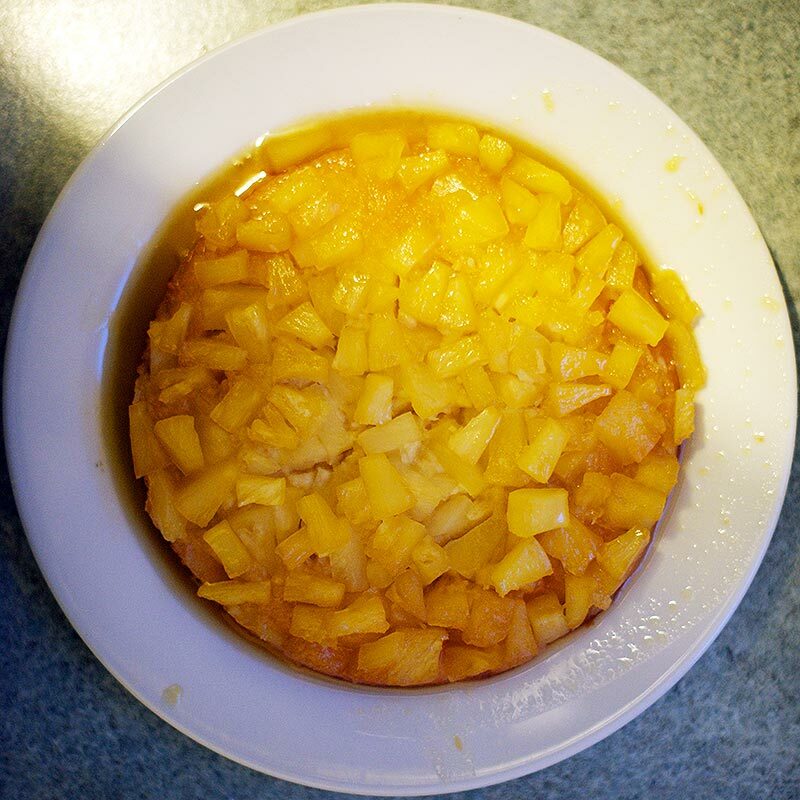 This recipe is an adaptation of 2 different pineapple upside down cake recipes with a few additions. First, pre-heat your oven to 180c (160c fan-assisted). 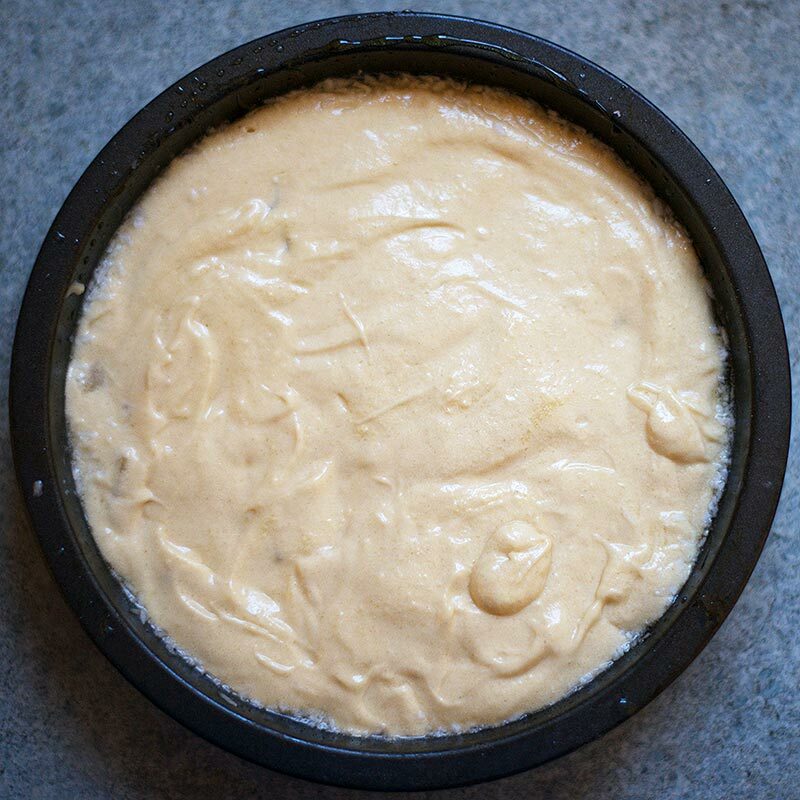 Start by coating the bottom and sides of a small cake tin with golden syrup. 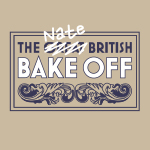 Make sure you don’t use a loose-bottomed one as it will probably leak all over your oven! 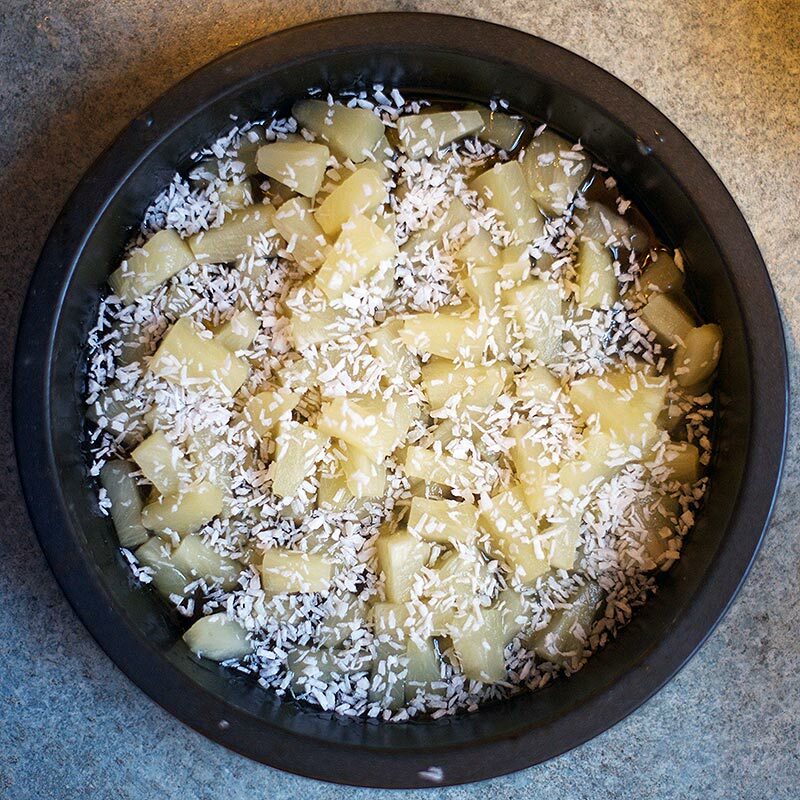 Tip 2 tins of drained pineapple chunks into the cake tin and sprinkle with the coconut and leave to one side. Next cream the sugar and butter together in your food mixer fitted with the paddle attachment. One creamed, beat in your eggs, squirt the vanilla in and sift in the flour. 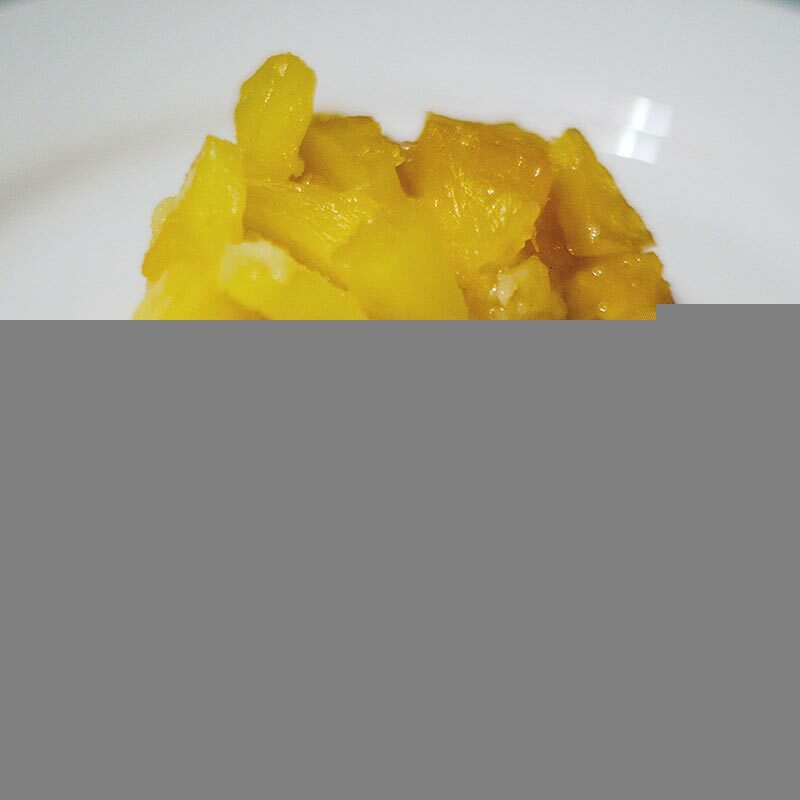 Once your mixture is combined and glossy, pour it over the pineapple and coconut. Put the cake tin in the oven and bake for 35 minutes until it has an even golden colour and an inserted skewer comes out clean. 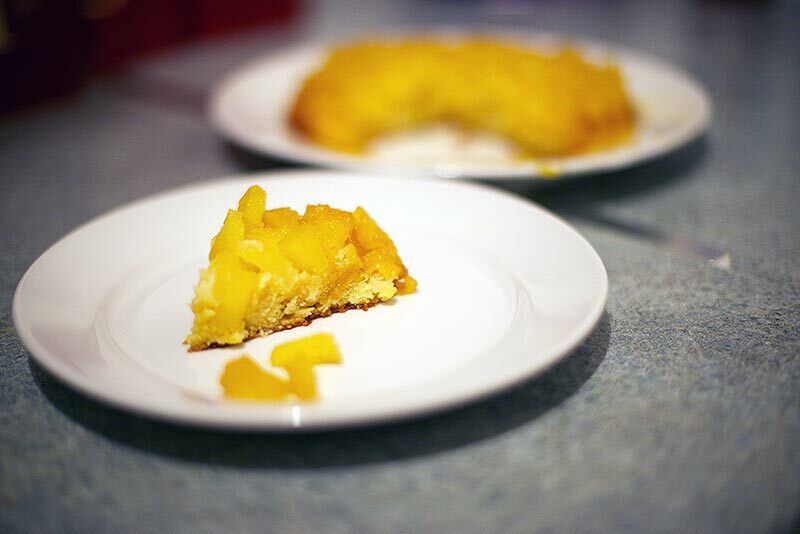 Leave the cake to cool for 5 minutes before inverting it onto a plate. 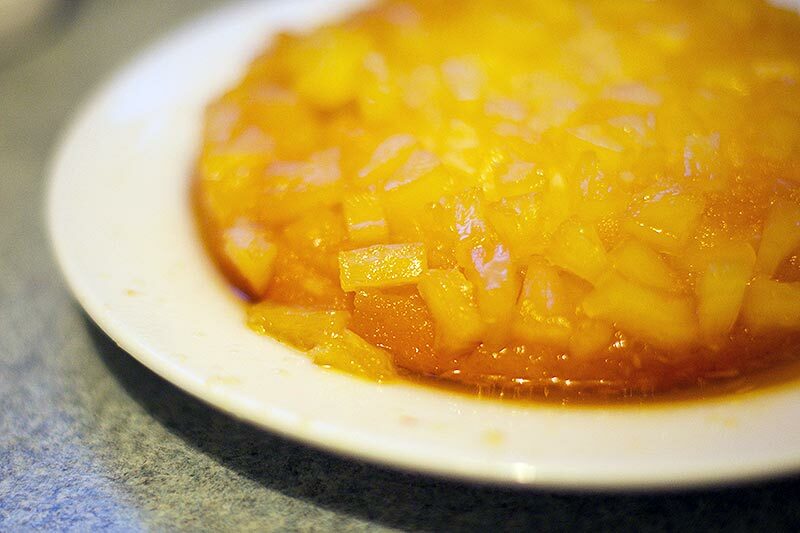 This is a terribly moist and sticky cake that probably needs a fork and would be awesome with custard. I didn’t have any eggs left to make some custard though and didn’t want to buy anything so I enjoyed it with a cup of tea instead. It’s refreshing to bake such a simple cake after some of the things I’ve been making on here, and although the presentation could have been improved, I’m chuffed that even though I made most of it up as I went along, it was very successful.